Five Brothers Insurance is known throughout Florida as the preferred insurance agency for business owners. Whether you are shopping for new workers compensation insurance policy rates or need a strong professional liability insurance policy to protect you and your assets, Five Brothers Insurance can help. With 28 years of experience serving the insurance needs of both residents and businesses, our team of licensed insurance agents has the skill, knowledge and experience to provide you with the best policy to meet your needs. Family owned and operated, Five Brothers Insurance is proud of our customer-first mindset, and we work hard to provide our client’s with the most competitive rates while ensuring that they are protected when they need it most. In addition to our complete commercial policy offering, we also offer Florida residents a broad selection of personal policies to better serve you. Whether you need homeowners insurance, flood insurance, auto insurance, motorcycle insurance or boat insurance, our team will be there to find you the optimal policy to meet your unique needs. We will work closely with you to evaluate your current coverage and determine if you have any coverage weak spots. We also take the time to truly analyze your needs to determine your exact coverage requirements, so you can rest easy knowing your personal assets are protected from a wide variety of hazards or claims. 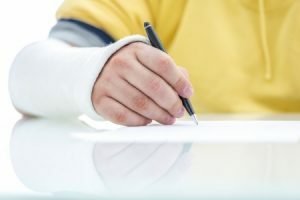 If you live in Tampa, New Port Richey, Holiday, Hudson, Homosassa or the surrounding areas, please contact Five Brothers Insurance today to receive quotes for workers compensation insurance or any other business insurance need. At Five Brothers Insurance, our insured are family, and we look forward to showing you a truly personalized, customer-focused approach in each and every interaction.